Nautalytics advanced optics uses a powerful glare free layer to allow for viewing under direct sun from any angle. Nautalytics advanced optics eliminates blackout zones caused by the alignmet of polarized sunglasses and LCD displays. 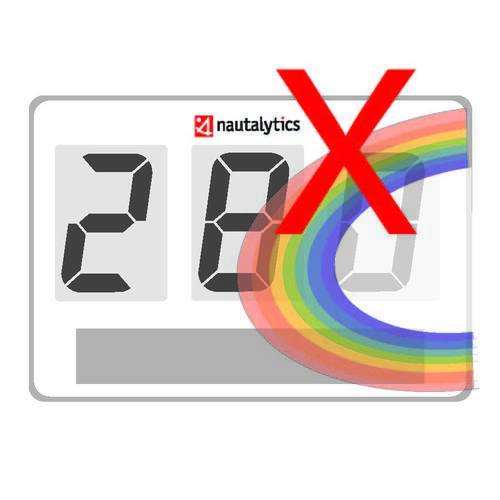 Nautalytics advanced optics features a rainbow and distortion free viewing environment. The Simple Compass is a MAGNETIC COMPASS. 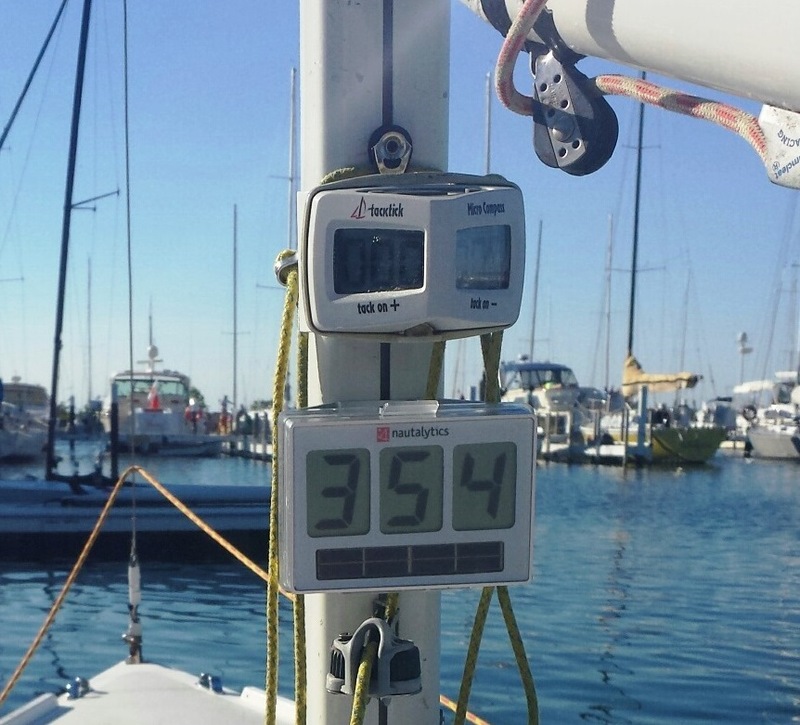 The Simple Compass has a large LCD display made for use with polarized sunglasses. It offers ultra-low energy consumption electronics with a solar cell and over-sized worry free battery. It’s housed in a solid 6061 T-6 Aircraft grade anodized aluminum housing or high grade plastic with scratch face plate. The Simple Compass is designed to tactically get you around the racecourse, no questions asked, at the price of a good globe compass. Press the top button and hold it. and it will go to “sleep” in about five minutes. if it does not move for five minutes. The battery level will only be displayed for the first 3 seconds at startup in quarter charge increments. Charge it in direct sunlight, it may take a few days. Reusable aluminum case - we want it back!